I have received a few questions recently about the different products that we use for Brody, so I thought I would put together a post on the topic for any other dog owners out there who are wandering around the aisles of PetSmart and scratching their heads like we were for months. 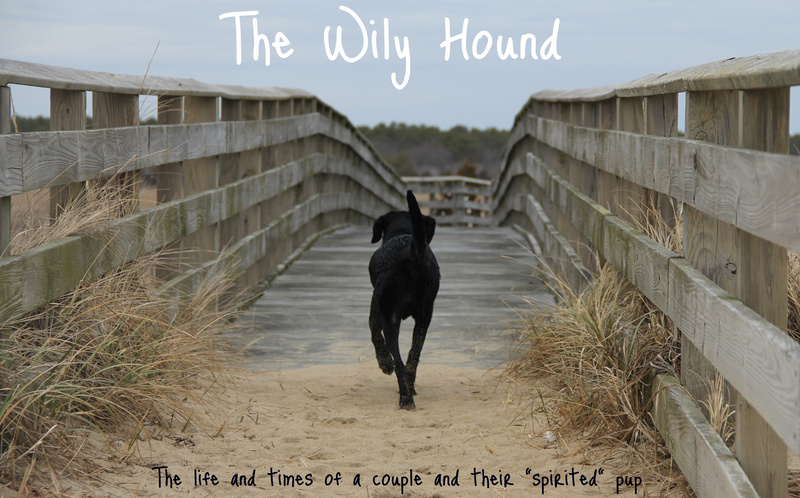 We adopted B in the fall of 2010 and since then, we’ve gone through countless dog products trying to figure out what works best for our hound. As it turns out, dogs aren’t cheap. 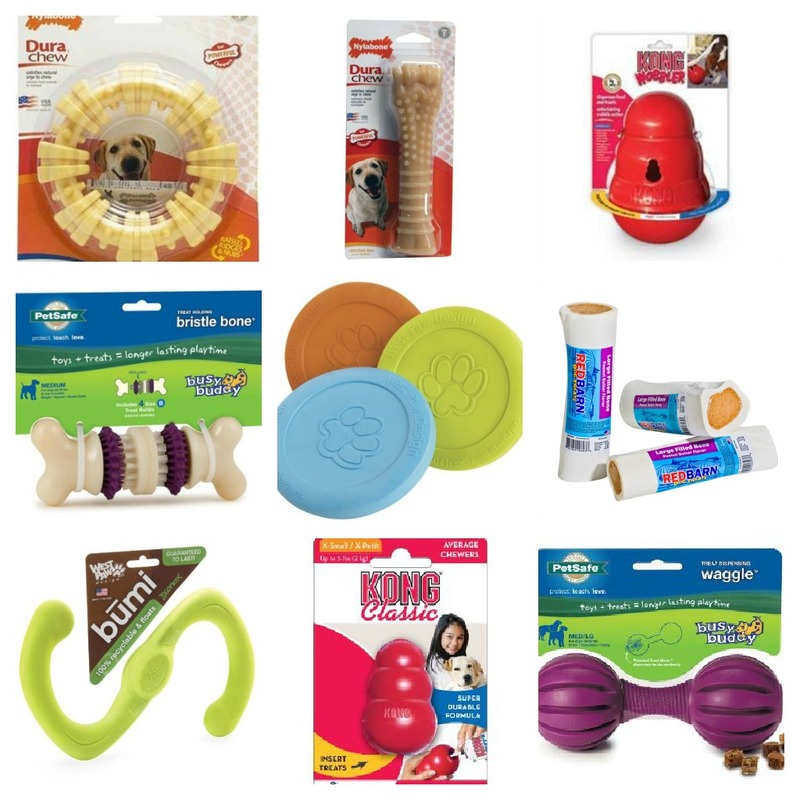 Between the food, the toys, and the grooming, costs can add up and it can be frustrating when it feels like you’re throwing money out the window trying to figure out what will work for your dog long-term. Luckily for our wallets, we seem to have narrowed it down to a few go-to products that we know will keep Brody happy. When we first adopted Brody, he came with a ziplock baggie of a popular, name brand dog food. Having never raised a hound before, I didn’t know much about dog food and assumed that we would just feed him whatever looked tastiest at the pet supply store. I was doing a little research about pet ownership and came across a number of websites (like this one) devoted to rating different types of dog food and I was surprised to see that the food that we were feeding Brody ranked pretty low on the list. As it turned out, a bunch of the widely-sold dog food brands out there aren’t necessarily the healthiest for your hound; a lot of them list filler ingredients (like corn, which doesn’t have any nutritional value) pretty high up on the ingredient list and then follow it with a bunch of hard-to-prounounce, chemcial-sounding ingredients and preservatives. We learned that there are a lot of options out there for healthy, natural dog food and brands like Blue Buffalo are sold right alongside the more well-known brands at stores like PetSmart. 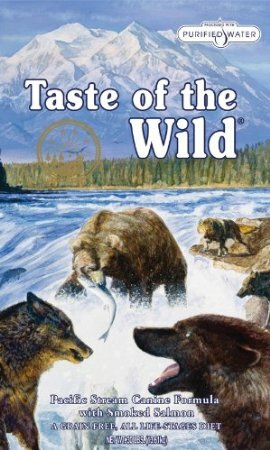 We ended up going with a brand called Taste Of The Wild and Brody has done great on it so far. At first glance, the price tag shook us a little bit (about $50 for a 30-lb bag), but then we realized that a dog will end up having to eat less of a higher-quality food because he isn’t filling up on junk like corn and other fillers. As a result, a bag of the good stuff will last longer than a bag of lesser-quality food, which stretches your dollar and makes the price tag easier to swallow. 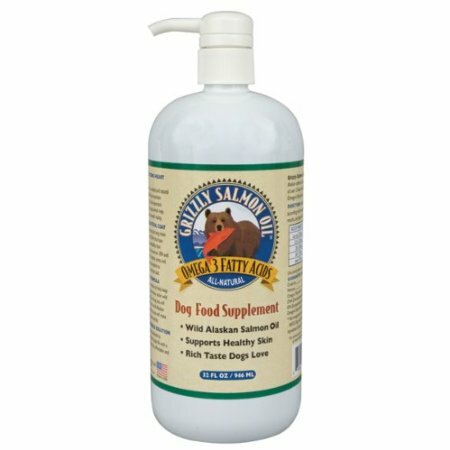 In addition to Brody’s regular dry food, we also supplement his meals with (get ready for a ticket to barf city) salmon oil. I know, gross. But a few pumps of the oil on his dry food leaves his coat shiny, helps with dry skin, promotes healthy joints, and gives him fantastic breath. Okay, so that last part isn’t really true; his breath is kickin’ and he knows it. That’s why he yawns at us so much…because he’s kind of a jerk. But the rest of it is accurate. We ran out of the salmon oil one time and we noticed a difference right away. Brody regularly gets compliments on his shiny coat and it can be attributed to the salmon oil (or “fish juice,” as my brother calls it). The compliments have really inflated Brody’s ego, but it’s a side effect that we just have to live with. I’ve seen the oil sold in pet supply stores, but Amazon has the best price that I’ve found so far. 2. Nylabone Dura Chew Bone – Brody has loved these and they’ve held up well. Make sure you’re getting the right size bone, though; there are different sizes depending on how big your dog is and getting one that is too small will make it too easy for the hound to break off a piece or swallow the toy whole. 3. Kong Wobbler – You screw off the top of this toy and fill it with food or treats, and your dog has to push it around and knock it over to get the food out. Perfect for wily hounds who tend to get into trouble when your back is turned! 4. Busy Buddy Bristle Bone – another good one for keeping your dog busy. Again, make sure you’re getting the right size and keep an eye on your dog while he’s chewing on this one; the sides come unscrewed, so you want to make sure he’s not getting to the bristle part and huffing that down instead of the treat. 5. West Paw Zisc – Brody loves this frisbee! It’s going on 2 years and he hasn’t been able to chew through it yet. 6. Red Barn bones – these come filled or unfilled. We usually just pick up the unfilled ones and stuff them with peanut butter and they will keep B occupied forever. Plus they’re really durable and Brody can work on one for months without making a dent. 8. Classic Kong – a great option for any dog with separation anxiety. Fill the Kong with peanut butter, applesauce, yogurt, etc, and then freeze it and give it to your dog before you leave the house. It takes them longer to get through it and having a special treat might make them happy to see you go! 9. Busy Buddy Waggle – you can stuff this durable toy with treats to keeps your dog occupied or huck it across the yard and watch him chase it as it bounces in every which direction. By nature, Brody is a bit of a puller and it drives me out. Of. My. Mind. Seriously bonkers. Some Google searches on the topic led me to the Easy Walk Harness and it was a lifesaver (or shoulder saver since Brody has a tendency to bolt after super interesting stuff like leaves and bees). 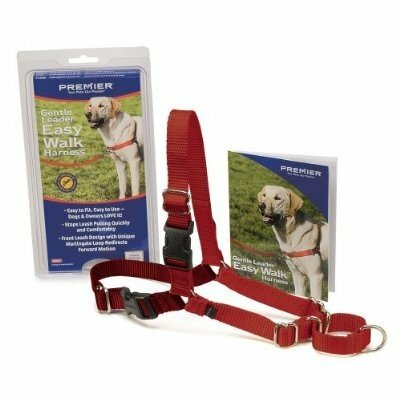 The harness is great because it discourages him from pulling; the leash clips to the harness in front on his chest so if he pulls against the leash, he gets turned around and his attention gets guided back to you. The best part is that it doesn’t choke him if he pulls really hard, so he doesn’t do that loud, awful coughing noise that attracts attention from strangers. Take some time to read the instructions and work on getting the fit right and it will make all the difference in the world. (Note: Brody is 50 pounds and some change and he wears a size medium.) Just be sure that you don’t leave the harness on your dog when you’re not walking him; Brody can reach the strap that goes across his chest and I caught him chewing on it like a loon. We have a retractable leash for him, but I really prefer walking him on a regular old nylon leash. I find that it we walk him on the retractable leash for too long, he gets back into the habit of pulling because he’s used to having more freedom. Plus, I don’t trust myself to stop the leash in time if he jets after something interesting, like another dog or a delicious looking bagel that was thrown out of a car window. For the first few months of Brody’s time with us, he didn’t shed. We had heard terrible things about labs and their shedding habits, so we thought that we had hit the jackpot with our hound. Turns out he was just building up his strength to let fly on his first birthday and start shedding like crazy. 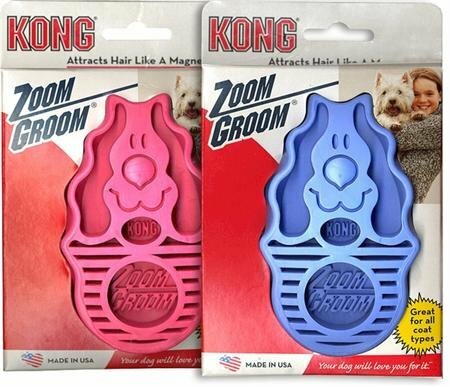 I read great reviews on the Zoom Groom by Kong and it did not disappoint. Plus, it’s usually less than $10 on Amazon. We tried other brushes (like the more expensive FURminator) but we keep going back to the Zoom Groom. It’s effective and inexpensive, which is a double win in my book. I hope this little product round up helped some of our fellow dog owners out there. Thanks for reading!